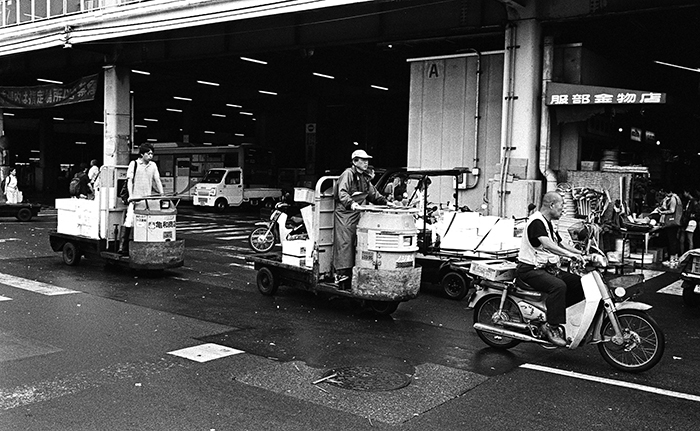 The famous turret trucks of Tsukiji fish market. this may be the last I’ll see the market in the current location. It’s due to be completely moved over to the new location in Toyosu by the end of November next year.